Droning, repetitive space rock for your earholes. An expansive master class in droning psychedelica, White Hills’ Frying on this Rock is a somewhat energetic and somewhat draining recording that tears at the edges of the universes and peels back the stars to see what’s beneath. This is intelligent, weighty space rock, brought as a platter of seemingly spontaneous spaciousness, but it’s also a study in excessiveness and overdoing it. White Hills capably builds layer on top of layer on top of layer, encrusting expansive and repetitive jams with a somewhat murky barrier but still somehow allowing the music to have meaning. White Hills is guitarist Dave W. and bassist Ego Sensation. Along for the interstellar voyage on Frying on this Rock is Julian Cope drummer Antronhy. Touring drummer Nick Name is also present and the whole shebang benefits greatly from Brian Eno/Swans/Sonic Youth engineer Martin Bisi. Bisi, who has worked with Japan’s Boredoms, is as acquainted with the land of the weird as he is with cohesion. He has a good skillset when it comes to putting puzzle pieces together and, in the case of Frying on this Rock, he needs ever single weapon in the kit. Dave W. and Ego Sensation don’t seem to have met an extended jam they wouldn’t take, but Frying is the White Hills reining it in – if you can believe it. “Robot Stomp” is one of the album’s exercises in patience. It drills away with a repetitive – and I mean repetitive – dirge of nothing. There’s no real angle here, no reason for existing, but perhaps that’s the point on a record that eagerly flaunts its lack of convention with one bong-ridden jam after another. Little shards of effects raise their robot limbs to break the monotony and a swell of conversational noise sounds like a party is going on in the background, but the fight is an uphill battle. “Song of Everything” finds the H-p1 guys knocking out a sort of Mastodon vibe, with more spaced-out effects. W. grunts and growls like a sludge rocker lost on Mars. As monotonous as “Robot Stomp” is, the album’s closer, “I Write a Thousand Letters (Pulp on Bone)” challenges the idea and then some. The cut slogs away for about 14 minutes or so, building on woozy effects and then whipping the hell out of an unending drum pattern by laying more effects over it. Frying on this Rock isn’t for everyone, but it doesn’t have to be. The question as to its goodness as a record, any kind of record, is certainly up for some debate. 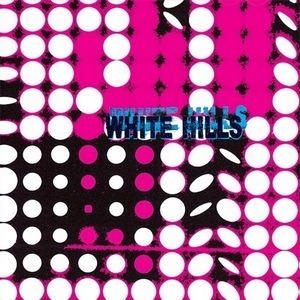 White Hills deserves at least some praise for their flaunting of convention and their probe of space rock patterns, but they don’t take the things anywhere meaningful. With this album, they simply seem content to grind and grind and grind away, sometimes for 14 minutes at a time, and that doesn’t make the results very earth-shattering at all.